Email is looked upon as the primary communication tool by many people. They use email to communicate with family, friends, colleagues and other important people in their life. Email can be sent to contact someone for employment purposes, to inform someone about a business venture, to keep track with the customer service, or simply talking to a friend instead of using the telephone. Sending personal emails to family and friends is different from sending a professional email. Understanding the recipient is necessary to determine the type of mail to be sent. Professional or job emails must go through a specific guideline process before clicking “send”. To take the right step properly it is very important to know about job email guidelines and etiquettes. If you are contacting an employer for the first time, mail him or her only if he or she asks you to do so. You can email them only if an email address is being provided to you. If no email address is available even from the employers website, then it is safe to send your resume and other necessary details via a hard copy. Don't Miss: How To Find The Best Jobs On A Job Board? It is an utterly foolish decision to send an email to the employer without doing a thorough research about the company. However, it is even worse to claim in your resume that your talents include internet research. It is necessary to find the right person in charge of the department or post that you are applying to. 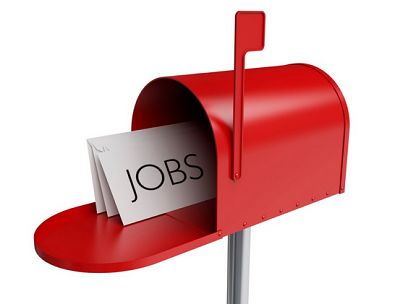 Mailing the wrong person might result in an outright rejection of your resume and email. The inappropriate person is not responsible for forwarding your resume to the right department. If an employer sends you an email, it is suggested that you respond via email only. The thumb rule is to read the mail sent by the employer thoroughly and follow instructions to the T. The mail may contain a list of actions to be performed by you. You should also be very careful about the person to whom you are replying. Mr. XYZ of ABC Company might send you an email and ask you to reply back to his senior. You must interpret the mail slowly as it might be a forwarded one. You must contact the correct person and not the one who has forwarded you the email. The most important thing to pay heed to while replying to a mail is to stick to the subject matter. You must also not delete the content unless it contains something immaterial. This is an issue which concerns most fresher’s. A thank you email after an interview is however, a good thing. This will fetch you appreciation from the employers that you at least have the decency to say thanks. Such an email can be noticed by the employer either before, or after noticing the hard copy. If the person who took the interview is an extensive traveler he or she will receive the thank you mail along with the hard copy after reaching the office. On the other hand if the employment process starts early, then the interviewer will receive both the hard copies as well as the thank you mail before the selection procedure starts. It is safer to conduct any negotiations regarding a particular job verbally than by writing. If you don’t understand the job offer or the benefits of the job package offered to you, then a verbal communication is the best to figure it out. However, if the employer is contacting you via emails only from the very first day, then you can send him an email stating that you have confusions regarding the job offer. You can ask for a suitable time to talk verbally with the employer. Sending an email to the employer anytime and every time can irritate the employer to a certain extent. If you two have agreed upon something very important verbally, then it is important to follow that event through a written document. This is the situation when you need to write an email. However, the employee expects to get the employment offer confirmed by the employer via a written record. Prior to the start of the job, the interview date should also be confirmed via a written confirmation. The aforementioned pointers are the proper job email guidelines and etiquettes to be followed. The best policy to follow is to understand the cues of the employer when you are talking. If he or she prefers to communicate over phone, then do not go for an email. Saurabh Tyagi, an internet media enthusiast, a next gen author with considerable experience in everything related to career advice, and the general web. 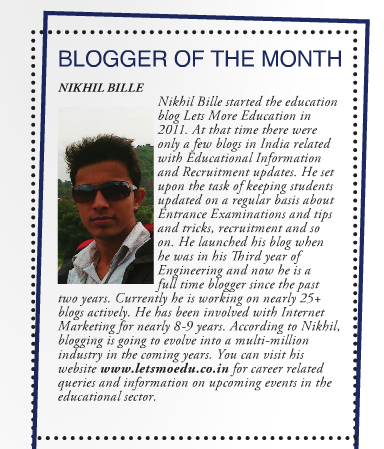 He is an avid reader and networker and his articles reflect his own thoughts with the input of experts of the industry. Right from building resume for fresher’s, through various resume formats, to complex web design topics, he has written it all.